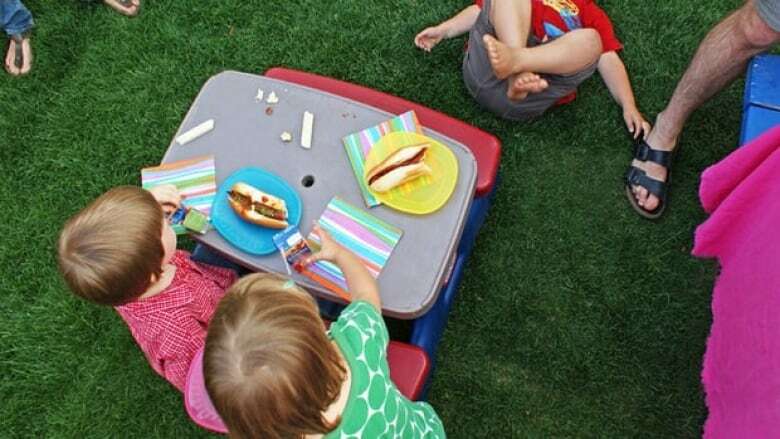 CBC Calgary's food and nutrition columnist Julie Van Rosendaal gives some suggestions for good picnic foods. When the weather turns warm and green city spaces return to their lush summer state, providing thick grass to sit on and trees to spread out under, it’s time once again to eat out al fresco. Hear Julie Van Rosendaal's picnic suggestions by clicking on the "Listen" button above. Even when you can’t find a spot on a patio, chances are you’ll be able to locate a spot in a park, on a beach or near a stream. Wherever you are in Calgary, here are some easy ways to turn your outing into a picnic. Pack a wooden cutting board and a knife, pick up a bottle of wine, a few nice cheeses, a good baguette and some dried fruit and nuts and perhaps a jar of chutney or fig jam to fill in the gaps. Then spread out a blanket and spread out your cheeses. Pick up lattes, cinnamon buns from the bakery and fruit from the market and find yourself a piece of grass. There are great cinnamon buns (and coffee!) to be had at Vendome Café and Sidewalk Citizen Bakery in Sunnyside, or grab some small quiches to go from La Boulangerie on Fourth Street S.W. Who says a picnic has to be a meal? Have a dessert picnic, or just pick up pie. Try the fruit pies at Bliss, lemon or salted caramel tarts at Éclair de Lune, or pick up a whole one at Pies Plus in the Avenida Shopping Centre and stop for a pint of ice cream on the way to the park. Let the trucks cook! With so many great edible options on city streets this summer, it’s easy to pull over and have an impromptu picnic. You can track most of Calgary's food trucks at yycfoodtrucks.com, or find them on Twitter. The brand-new Farm Girls food truck can be found through updates from @farmgirlsfood. The charcuterie board from Taste restaurant is a great example of one that would do well outdoors. Pick up salami, sausage, ham, bresaola and other cured meats from Lina’s on Centre St. (where you could pick up some authentic Italian food to go too). Bon Ton Meat Market in the Stadium Shopping Centre has individual meat pies that would be perfect for picnicking, or try the Better Butcher or Polcan Meats and Deli in the Acadia Shopping Centre. Pick up some sushi to go — try Sushi Bar Zipang or Wa’s — perfect for eating with your fingers or chopsticks, it makes a great meal to eat on the grass.